If you are looking for information on the Heaven's Best Carpet franchise business opportunity, Heaven's Best Carpet cleaning franchises or Heaven's Carpet franchising, then you have come to the right place. Carpet cleaning that dries in less than an hour! Our unique method of carpet cleaning allows your carpet to dry within 1 hour after cleaning. We can take out many of the tough spots and stubborn stains other carpet cleaning businesses leave behind. 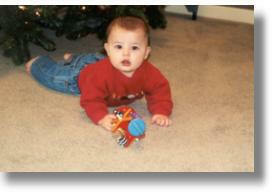 Our carpet cleaning products work. They are environmentally friendly and safe for your children and pets. We specialize in Carpet & Upholstery cleaning in both the commercial and residential settings. As you look around, you will notice that almost every place has carpet & upholstery that needs to be cleaned. We clean homes, business offices, doctor dental offices, movie theaters, schools, churches, airports, factories, retail stores, sports facilities, shopping malls, cars, boats, airplanes, and motor homes. 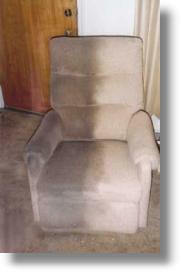 All of these have carpet and upholstery, which needs cleaned regularly. We specialize in quality. Our customers advertise for us by telling their friends what a good job we do. We have found that word-of-mouth advertising really works. A large portion of our business is from loyal repeat customers. We do a good job and they have us back year, after year, after year. Every customer receives an evaluation card and is asked to fill it out and send it into the home office. We require quality work from every franchisee. We go the extra mile to make sure our customers are satisfied. Our carpets are cleaner and stay cleaner longer. Heavens Best technicians pre-vacuum every carpet. We clean all around the edges. We pre-treat the spots and stains. We clean your carpet with our water based state-of-the-art mild cleaning solution. We deodorize your carpet leaving a clean citrus smell. We dry and groom each fiber giving your carpet that new look and clean feel. We clean all types of carpet including delicate oriental styles. From the lightest soil to the heaviest grime, our process works great on your upholstery. 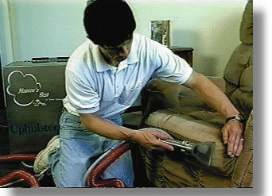 With our process your upholstery will look, smell, and feel great.